Last year, I was told by a friend that he'd submitted We Don't Go Back to the Recommended Reading list for the 2018 Bram Stoker Awards. I wasn't sure what that meant. So I checked it out. 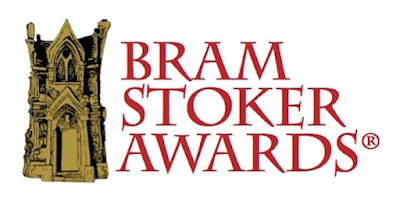 The Bram Stoker Awards have been running since the 1980s, and they're run by the Horror Writers Association (formerly the Horror Writers of America). 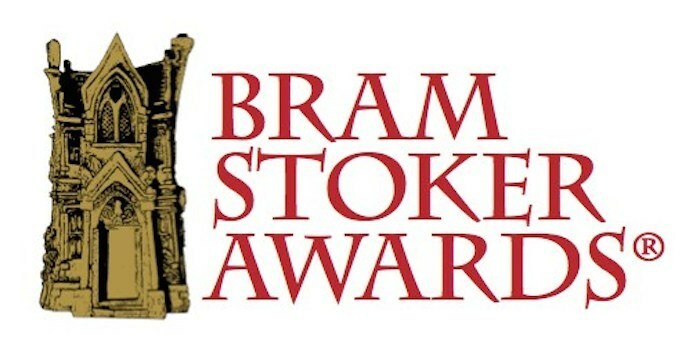 The awards are decided by a judging panel and a members' ballot. 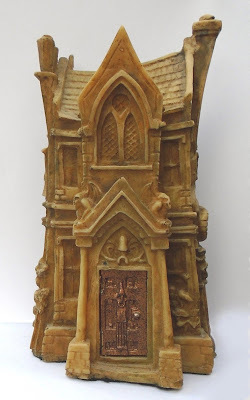 They're basically the horror equivalent to the Hugos (one thing I do like is how the awards aren't phrased as being "the best", but rather are given for "superior achievement". That seems to me to be quite generous and clear-sighted, a recognition of how awards like this work). The Recommended Reading list is simply a place where members can suggest stuff. I was flattered that someone might go to the HWA and effectively say, "Hey guys, I think this is great and deserves an award." What the hell, I thought. 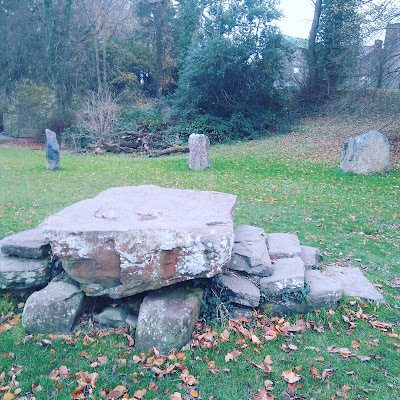 Taking great care to do it just right (if there's one thing you learn writing professionally, it's always follow the submission guidelines, to the letter) I submitted my modestly successful blog compilation to the judges, not expecting anything to come of it. On Sunday I learned that We Don't Go Back: A Watcher's Guide to Folk Horror had been included on the preliminary ballot for the 2018 Bram Stoker Award for Superior Achievement in Nonfiction. It's Wednesday. I'm still checking that I didn't imagine it. My name is on a list with Stephen King, Guillermo del Toro, Joyce Carol Oates, Ellen Datlow, Donna Lynch, Saladin Ahmed, Panos Cosmatos and others. This isn't a nomination. It's the stage before the nomination, what I suppose in many other awards would be equivalent to a longlist. The voting, as I understand it, is happening now until February 19th, and then the final ballot – that is, the list of nominees, gets published quite soon. The award ceremony, which I cannot afford to go to, whatever happens, is in May. I'm not expecting to get a nomination. Looking at what's in the category, I know that I wouldn't include me in the nominees. I'm not ashamed of that. There's robust academic writing there from respected publishers. There's a book on how to write horror that has contributions from Clive Barker and Chuck Palahniuk in it. Most of the people there have form of some kind. To say that being there is punching above my weight is a complete no-brainer. Underdogs might win in movies, but in the real world, underdogs crash out in the semifinals. And for all that, underdogs still get a hero's welcome back home. And it's lovely to report that this has been my experience. 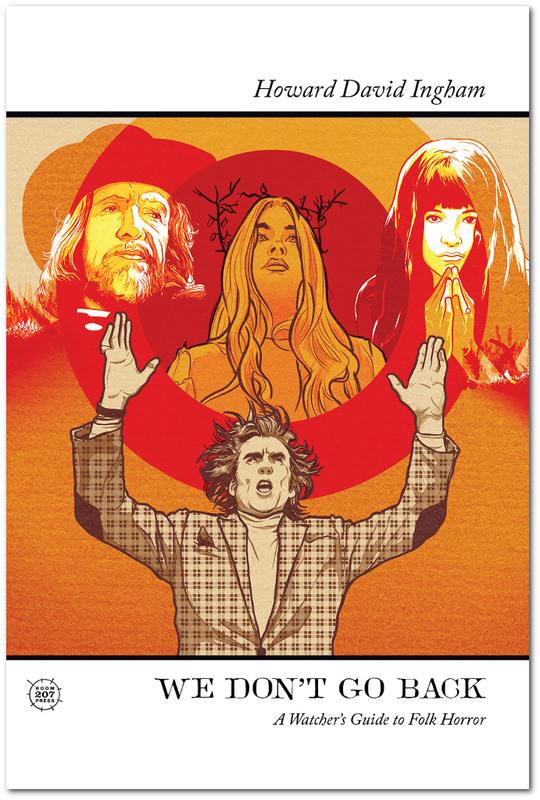 I've had a gentle tide of messages and calls from friends and family who don't care one bit about occult horror movies or spooky 70s TV and who I didn't even think knew I'd made a book, offering congratulations and support. I would love you to buy my book, of course, although the simple fact that it's already hit the place of "modest success" and has supplied approximately one topsoil bag of paydirt is a source of real, continual surprise and delight, and I would love you to love my book enough to vote for it in a ballot (only ballots you're eligible to vote in, mind). But I'm not entertaining illusions. I mean look at this thing. Isn't it amazing? For several very good reasons, personal and less personal, it's hugely important to me right now that I am satisfied with this achievement as it is. People like me don't tend to win awards, and while the genuine faith of my friends – faith that I might get to have a trophy shaped like a haunted house with my name behind the door (seriously, it is the coolest trophy) – is affirming, it's better for me in several ways that I work on the assumption that it stops here. Whoever wins I truly believe will deserve to, probably more than me, and I will congratulate them, and it's enough for me that I'm proud and honoured to be considered worth putting on the same list. Because in that, as far as I'm concerned, as far as I have ever expected to go, I've already won. What, I didn't plug it? OK, then. 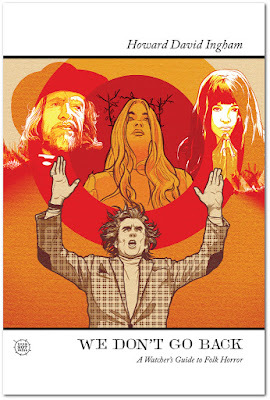 You can buy We Don't Go Back: A Watcher's Guide to Folk Horror here in the UK and here in North America. If you live elsewhere, your own Amazon region should have it too, but you can contact me via the usual social media if that's not an option.